Charlotte's life is changed forever when her parents marriage breaks up, and Charlotte has to leave her beloved house and her old life behind. Then two very different boys cross her path, and a new emotion creeps into her sadness and anger an emotion that is both confusing and sweet. Charlotte falls in love with Carlo, tries to stay friends with tough-guy Sulzer and faces the jealousy of the cool-girl clique at school. As she watches her parents cope, sometimes haplessly, with changes in their own personal lives, and as she deals with a new baby brother, a potential stepfather and unexpected house moves, she realizes that love is a messy business. If grownups can make such a hash of it, how on earth can a 15-year-old cope? Set in a small town on the Austrian Danube, this is a familiar story thattouches a chord with every teenager, told with refreshing emotional honesty. Devoid of judgment, sentimentality, andsexual precociousness, this story about first loveshows a strong, curious girl stumbling and prevailing as she figures out how to turn away from the noise of other people's expectations, and listen to her own heart. Gabi Kreslehner was born in Linz, Austria. She is a teacher and writes for young readers and adults. I Don t Live Here Anymore, her first novel, was published to huge acclaim in Germany (Charlottes Traum), receiving the Peter Hartling Prize, the Hans im Gluck Prize and the Steiermark Prize for Young Adult Literature. 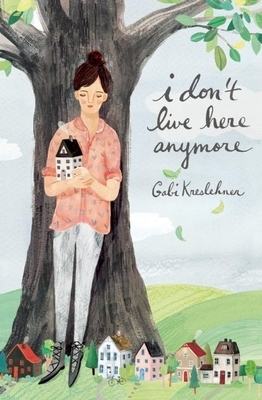 Gabi lives with her family in Ottensheim, Austria, a town on the Danube that is very much like Charlotte s. Shelley Tanaka is an award-winning author, translator and editor who has written and translated more than thirty books for children and young adults. She teaches at Vermont College of Fine Arts, in the MFA Program in Writing for Children and Young Adults."